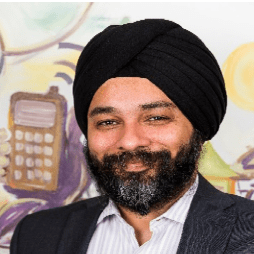 Jaspreet Singh works in the area of digital economy with UNCDF, engaging with public and private sector stakeholders with a focus on contributing to the Sustainable Development Goals. He joined UNCDF in 2015 and works on expanding its portfolio of digital projects across Asia. After working across various portfolios in agricultural and rural banking, small and medium enterprise banking and investments with ICICI Bank during the mid-2000s, Singh became an adviser on digital finance for financial inclusion, working with various international organizations including the World Bank, UN, IFC, other global consulting firms, and implementing organizations including bank, telcos, and tech companies across Asia, Africa and the Pacific on assignments ranging from customer research to strategic implementation.